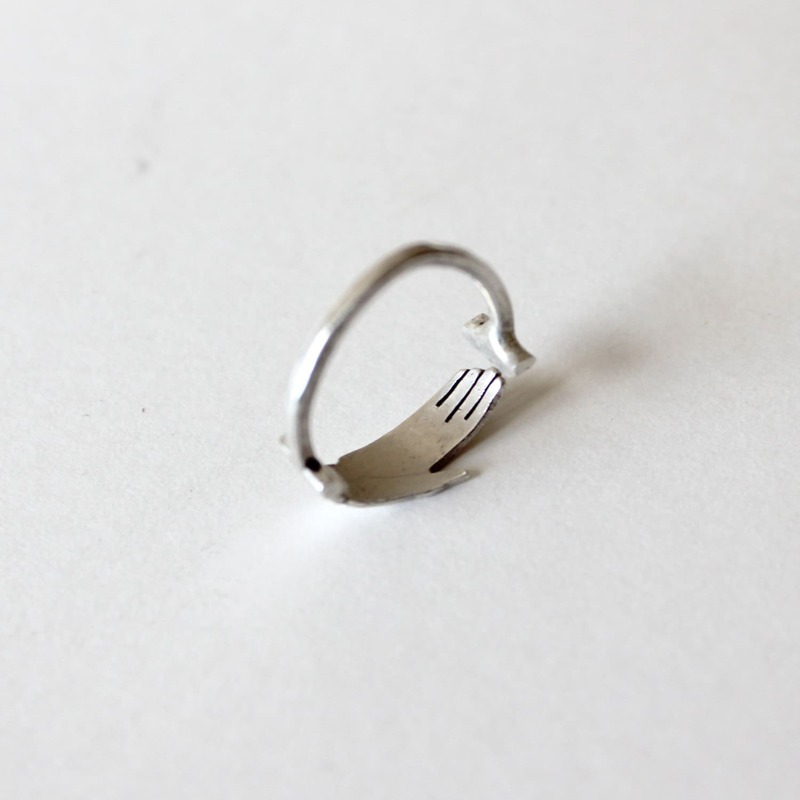 I use beautiful solid sterling .925 silver components and carefully hand cut, file and solder to form small hand ring. 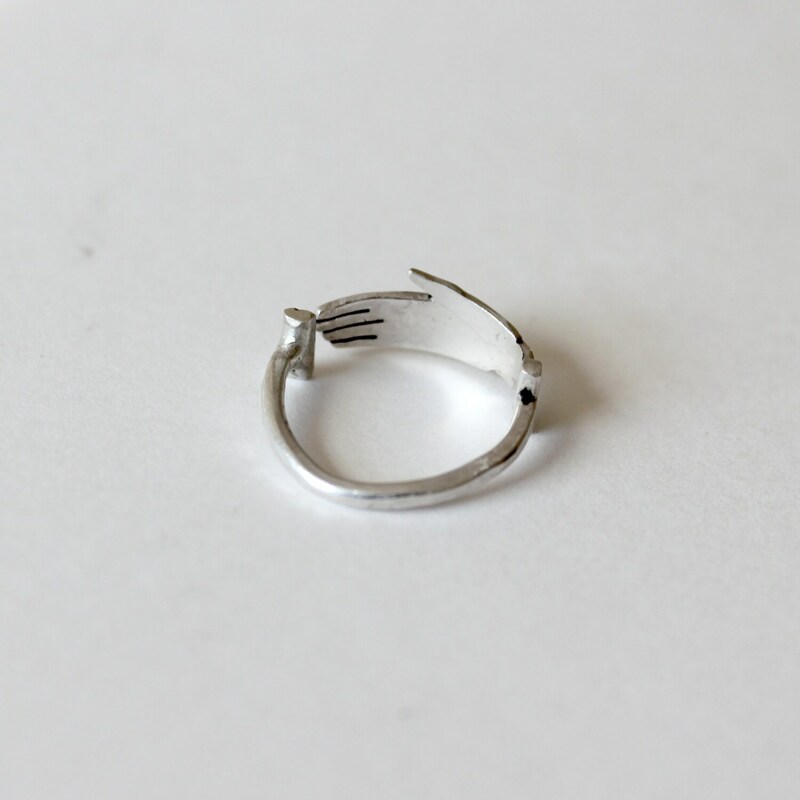 This ring is an open loop - so there is a slight flex allowing you to "fine tune" the ring size. 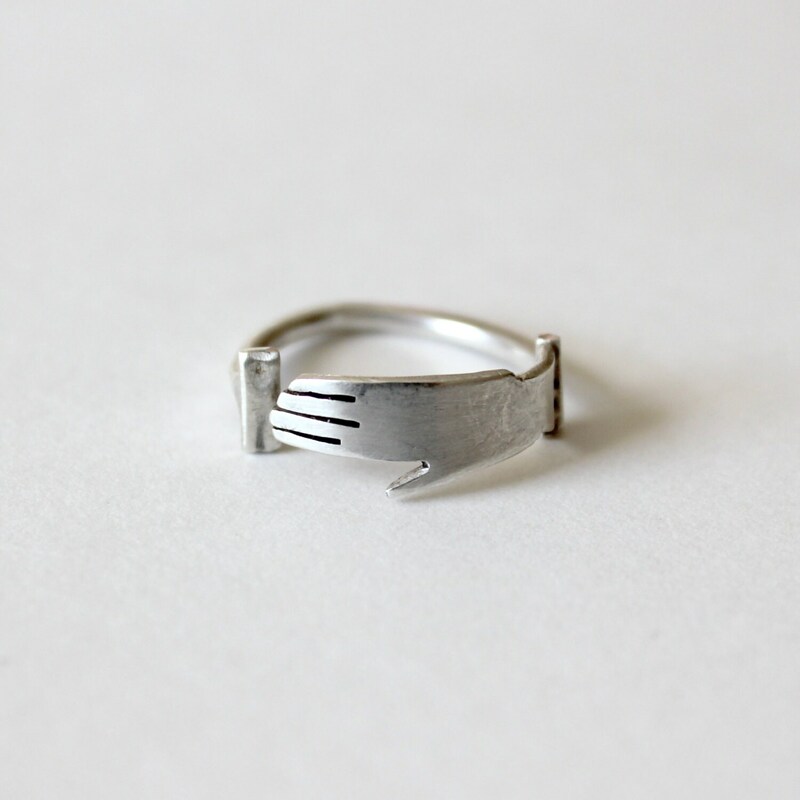 This ring can also be made in brass, copper, gold, or have a blackened finish. 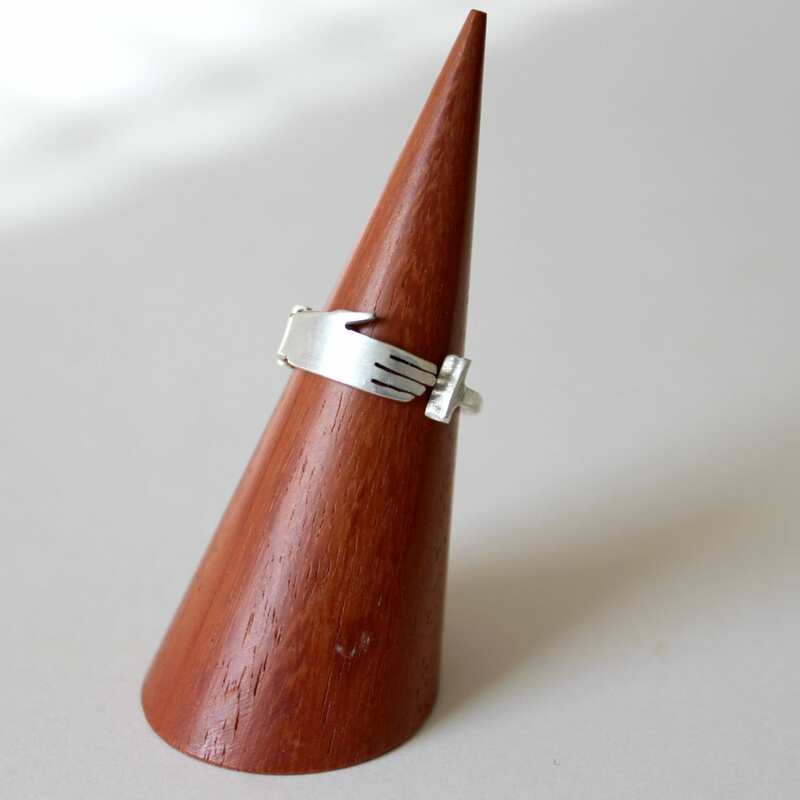 This piece is completely hand made and truly one of a kind. Every item is made to order to the above specifications. I invest great care in every piece. 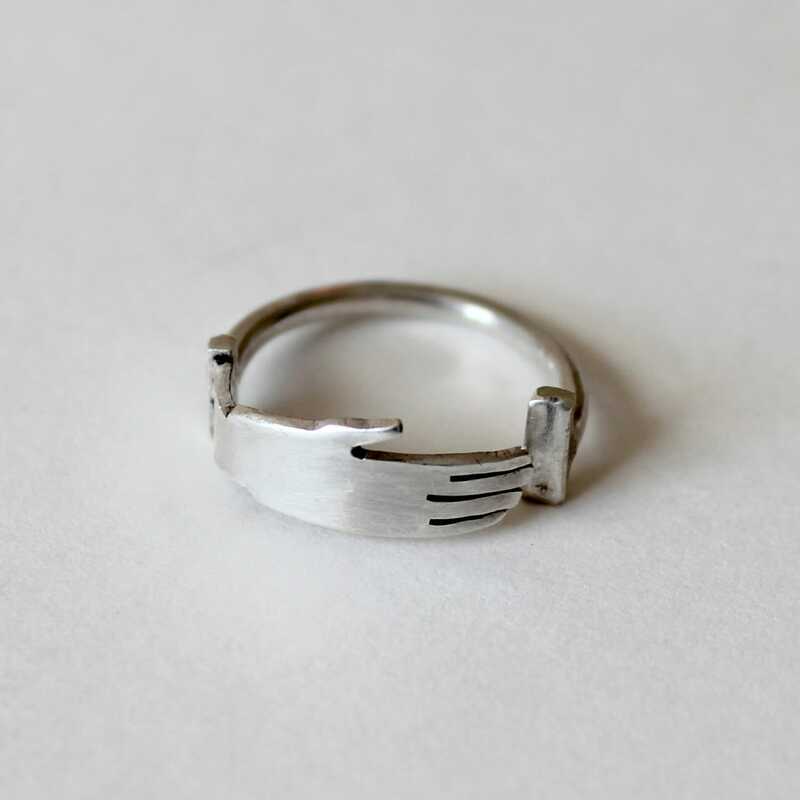 You can expect your ring to closely resemble the one pictured, However, all pieces are made by hand one at a time, so expect yours to have it's own unique but beautiful idiosyncrasies. There are no two completely identical Hero King Embellishments. I'm happy to make any custom changes as specified. Please allow up to 2 weeks for your item to leave my shop, although I have most orders out the door in 1 week or less. If you need a rush order just let me know. I ship USPS first class. If you need faster shipping, have any questions, or special requests just let me know! If you are unhappy with your order, if it is defective, or damaged please let me know! I will do all I can to accommodate your requests as quickly as possible. I'm happy to repair/replace/or even refund your order if needed. I'm happy to make accommodate special orders, different chain? size? length? color? Have an idea? I would love to work with you on custom orders.